Become your Exit's Exclusive Sponsor. Do you already have an iExit Business Account? Did you receive a postcard in the mail with a special code to claim your business? Want to see if your exit's sponsorship is still available? 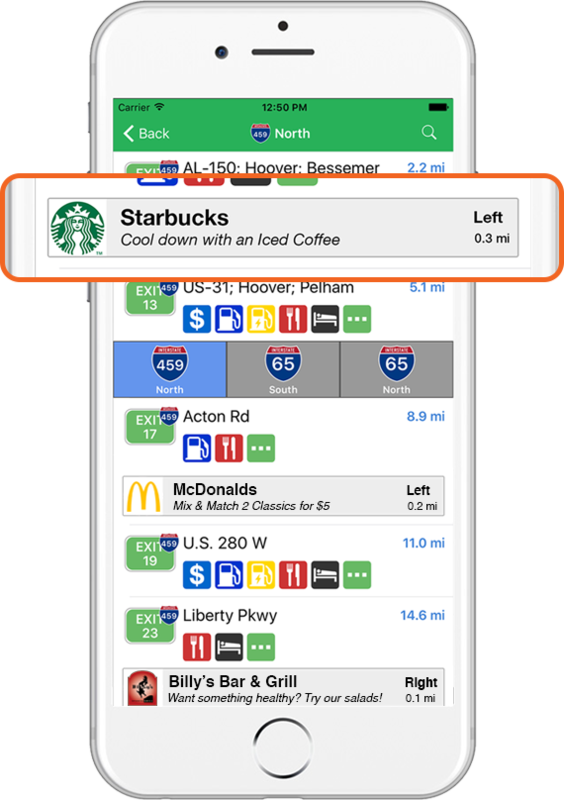 iExit is a nationally-acclaimed mobile app that helps interstate travelers decide where to pitstop. If opened on or near the interstate, it finds you automatically and shows you what's ahead by exit. You can see a summary of what's ahead at each exit, or you can search upcoming exits for a specific need. 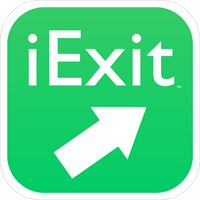 Over a million travelers have downloaded iExit, and over 250,000 (and counting) pitstopping decisions are made every month using iExit. By becoming an iExit Sponsored Business, you will stand out from all other businesses at your exit. What is an iExit Sponsored Business? We are working with only one business per exit, and it's done on a first-come, first-serve basis. Once any business (gas station, restaurant, hotel, anyone!) claims your exit's iExit Sponsored Business, it's gone. iExit Sponsored Businesses are over 10 times as visible as non-sponsored businesses to potential customers approaching your exit. With over a dozen businesses at each exit on average, you can now guarantee you don't get lost in the crowd. iExit helps with over 250,000 pitstopping decisions every month. Becoming the iExit Sponsored Business at your exit is more efficient at bringing in undecided interstate travelers than being among the crowd on the blue signs. This is the view most iExit users see, displaying summaries of exits ahead. We have never shown individual businesses on this view before, but now we're allowing one sponsored business per exit to be highlighted here. This is where all businesses at an exit are listed by category. At busy exits, this page can get a bit crowded. The iExit Sponsored Business will show up first in its own “Sponsored” category. 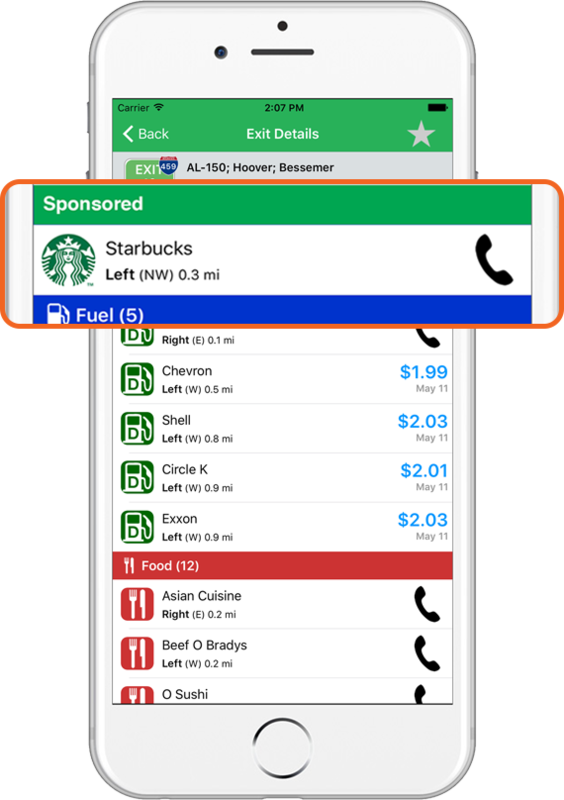 Become the only business at your exit with its own "In-App Billboard", allowing your business to be seen by thousands of approaching Interstate travelers every month, even those who don't click on your exit. When someone clicks on your exit to see all of the businesses listed there, yours will appear first and will be highlighted. Display custom branding and messaging to approaching travelers.